What was meant to be a very simple jewellery heist goes terribly wrong the surviving criminals suspect that one of them is working with the police. 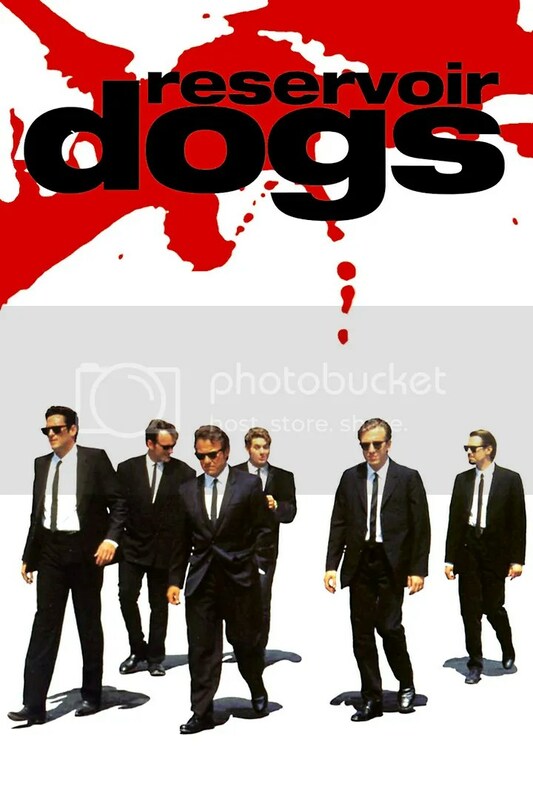 Yes I had to watch another Tarantino film last night after seeing The Hateful Eight, luckily Netflix has a few to choose from and I opted for this one for two reasons, one I had only watched it once before and remembered liking it and two I never reviewed it! So thought that was the perfect opportunity to watch again to get my thoughts down on the blog! The thing that stands out the most in this film is how simple some of the scenes are mainly taking place in an old abandoned warehouse, which was supposed to be the meeting place after the heist. They have no idea who managed to survive as the police arrived not long after it began. The other great thing has to be the use of colours with Mr as each others names, this is something that is explained later in the film but makes perfect sense considering none of the men know each other so don’t find out real names. Its clever. The dialogue is fantastic. That is what you expect when watching a Tarantino film, this was his first one as well as director anyway and it truly is a wonderful film to experience. I like that the main “costume” is a suit as it really does make the men all look like a team as well, that may be a strange thing to mention but I really do like men in suits think we have lost that in the film world as well as in real life. But anyway that certainly does make it look and feel extra sleek and obviously white shirts and blood mix well in terms of making it more visual. A great cast effort with the different actors having their very own moment to shine and take the spotlight as each of them are shown in the build up to the heist. Something that has become a trademark of QT has to be telling a story but then going back to what got them to that point and therefore helping to piece everything together nicely. Giving you the chance to guess and try to work it out yourself as it goes along. Harvey Keitel was probably my favourite performance in this one, even though it is difficult to choose I just felt he was the real driving force and had a fantastic presence from start to finish. An actor who also works well with a lot of dialogue has to be Steve Buscemi and I really do think he is at his very best in this one as Mr Pink. Stuck in the Middle with You . . . Come on that has to be mentioned I mean I had seen that part before watching the film. An ear being cut off while dancing around to that song by Steelers’ Wheel really shows QT is not scared to shock people, a very haunting moment from Michael Madsen. Even though you don’t actually see it being done the build up and aftermath is enough to really put you on edge, this guy is totally crazy! I guess the same can be said for the other characters as well but they show it in different ways. I just love the level that this film is at when it comes to the intertwining of the characters and story of how they all ended up together as well as knowing how it all managed to go wrong, you are kept guessing and wondering as each part of the story unfolds you change your mind and think actually it was someone else. That has to be the signs of a powerful film. Brilliant, I’ll keep checking for that! The dialogue is what brings me back to Tarantino’s films and the main reason I always watch them a few times within the space of week when a new one comes out. Can’t wait to see the Hateful Eight on 70mm! I had to watch Pulp Fiction so many times to appreciate it then grow to love it. I think his films are certainly ones you have to watch over and over as you are bound to miss something along the way. Agreed. Pulp Fiction ages like fine wine. What a great movie this is! I love the connection this film has with Pulp Fiction with Marcellus Wallace being mentioned in this one and being played by Ving Rhames in PF. I also love the fact that Michael Madsen’s character here is the brother of John Travolta’s in PF. Gotta love the Tarantino Cinematic Universe. Oh he certainly mixes it up and you’ve just taught me a few things with all that! I didn’t know any of it! I’ve watched Pulp Fiction a lot but not the rest. Still have Jackie Brown to watch, is that one decent? I think there’s great characters in it (Robert De Niro is brilliant!) but it’s only a good film not great imo. It’s on my list on Netflix I have tried once before but didn’t give it very long. I enjoyed this as well. Loved the fact that rhe movie showed us the before and after, but never the heist itself. QT focuses on the psychology of his characters, their motivations and personalities that all become chaos when the heist goes wrong. Oh yes and I agree the dialogue was brilliant. Good review!! Thanks! Pleased I decided to watch this some again! Glad you got to revisit this and enjoyed it. It is a fabulous puece of film.